As an integrative practitioner, you may already know that childhood experiences, both negative and positive, can have a tremendous impact on lifelong health. Conventional medicine is finally starting to take notice of the mind-body relationship and is in the first stages of evaluating all of the potential impacts. The term “ACES” stands for Adverse Childhood Experiences. This may include exposure to abuse (emotional, physical, sexual), violence, mental illness, substance abuse, and emotional or physical neglect. Kaiser-Permanente conducted one of the largest studies within this genre, involving nearly 17,000 participants. Through their evaluation entitled “The Relationship of Childhood Abuse and Household Dysfunction to Many of the Leading Causes of Death in Adults”, which was published in the Journal of Preventative Medicine, they established a strong graded relationship between exposure to childhood trauma and the risk factors for the leading causes of death among adults. Interestingly, a participant’s cumulative ACES score (the amount of trauma they had been exposed to) directly correlated with the number of co-morbidities they expressed. These co-morbidities included increased prescription and illicit drug use, cardiovascular dysfunction, diabetes, depression, and pregnancy challenges. While counseling and emotional support should be part of any holistic protocol, homeopathy also offers a unique option for temporarily managing symptoms related to emotional distress. DesBio’s three new homeopathic remedies can be a supportive part of an emotional health protocol. Keep Your Family and Friends Healthy This Season with DesBio’s Family Wellness Kit! 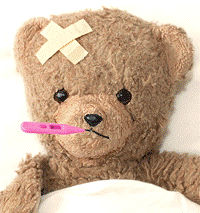 Sniffles, Booboos, Owies, and Tummy Bugs. The average family sees it all. Sometimes even on a weekly basis! When those mini crises arise, your patients need tools to help manage symptoms fast. The NEW! Family Wellness Kit offers a combination of supplements, herbs, and homeopathics for a more natural approach to family health and safety. Your patient can keep this easy-to-use kit in their home medicine cabinet for natural, effective, and non-toxic solutions for their common household ailments. Each kit contains nine full-size products – Immune Support, Smart Silver Gel, Upper Respiratory Support, Mucinease, Throat Spray, TriCurcumin, Celeragesic Gel, Bug Bouncer, and Nausia. These products are specifically designed to support immune health and temporarily relieve the symptoms of many common household ailments such as coughs, colds, headaches, sore throat, insect bites, sprains, gastric issues, etc. Are your patients looking for a way out of a fatigue filled funk, depressed state or recurrent infections? Consider Liposomal Restore, our new product that offers replenishment of essential B-vitamin co-factors and vitamin C in a liposomal delivery system. These essential nutrients may perform many critical roles in the body for supporting the neurological system, mitochondrial health, and energy metabolism. Liposomal Restore is an oral formula with ingredients specifically designed to mimic the intravenous Myers cocktail. Now your patients can receive these essential nutrients via a convenient oral dose without having to leave their own home. Queasy or upset stomach? Nausia can help! 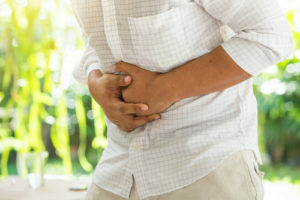 Nausea can cause a queasy feeling that ranges from slightly uncomfortable to agonizing, and it’s often accompanied by clammy skin and a grumbling or lurching stomach. Nausea may lead to conditions such as increased saliva, light-headedness, dizziness, trouble swallowing, skin temperature changes, increased heart rate, and vomiting. If left untreated it can cause an electrolyte imbalance and possibly nutrient depletion. Various medicines are available to treat nausea but contain ingredients that may not be suitable for most patients. Nausia is a comprehensive homeopathic that contains dilutions of 20 ingredients traditionally used to overcome nausea. Sources of nausea often include “morning sickness” or other pregnancy-related nausea, motion sickness, vertigo, viral or bacterial issues, or food poisoning and other gastric upset. This carefully formulated product temporarily relieves the symptoms of nausea and vomiting associated with pain, pregnancy, vertigo and headache. – Will not cause drowsiness. Safe to take at any time of day or while driving or operating machinery. Triclosan is an antibacterial and antifungal agent added to some antibacterial soaps, detergents, toothpastes, cosmetics, toys, and surgical cleaning treatments. The intent of triclosan is to reduce or prevent bacterial contamination. Its efficacy as an antimicrobial agent, its impact on human microbiome, and the risk of antimicrobial resistance remains controversial. There are ongoing studies that are concerned that triclosan use contributes to the disruption of the upper respiratory tract microbiome and the development of antibiotic resistance and may adversely affect human health.1 The FDA has not received any evidence that triclosan provides a benefit to human health and no evidence that triclosan in products provides any benefit. Yet manufacturers still include triclosan in their products, risking patient’s health. 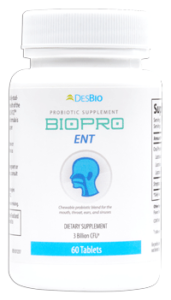 We are proud to announce that none of the DesBio’s products contain triclosan and our BioPro ENT can help stabilize any disruptions in the upper respiratory tract microbiome. 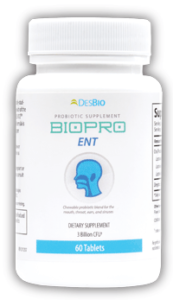 BioPro ENT provides a combination of clinically-studied probiotic strains shown to support the health of the teeth, gums, ears, and sinuses. Featuring BLIS K12TM (Streptococcus salivarius K12), this mint-flavored chewable formula is ideal for promoting a healthy mouth and upper respiratory system. 1 Halden RU. Lessons Learned from Probing for Impacts of Triclosan and Triclocarban on Human Microbiomes. mSphere. 2016 May 18;1(3). Do your patients suffer from food sensitivities or GI discomforts? Microbes could be responsible!! Every mucosal membrane surface on the body is colonized by a distinct group of microbes, including the mouth, nose, lungs, and the gut. These beneficial microorganisms help enhance the immune system and balance inflammatory activities associated with allergic reactions. Studies have shown disruption of the resident microbes might be associated with food intolerance. GI discomfort and symptoms related to these conditions often vanish when the gut is properly populated with beneficial bacteria. BioPro GI is ideal for patients suffering from long-term GI disturbances or food sensitivities. This high-dose formula provides five robust probiotic strains formulated specifically to support the causes of diarrhea, dysbiosis, obesity, joint pain, and food sensitivities. This multi-strain, high-potency, hypoallergenic, dynamic probiotic helps restore beneficial bacteria for optimal immune and digestive health and encourages daily relief from bloating and irregularity. Millions of children and adults are susceptible to dental cavities, sinus congestion, upper respiratory tract infections, and other infections of the throat and ears. The human mouth is home to billions of bacteria, and a probiotic can act as the first line of defense against the unfriendly bacteria and viruses that enter through the mouth and nose. Studies have shown that a daily dose of probiotic is essential for a healthy immune system. NEW! 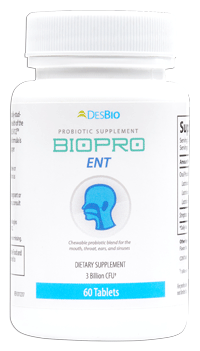 BioPro ENT contains S. salivarius (BLIS®K12) is a naturally occurring bacteria that normally reside in the mouths of healthy people. This probiotic strain has been shown to balance microflora, supporting a healthy mouth, throat, ears. This mint-flavored chewable acts as a natural solution for fresh breath for both children and adults. – ENT Support is for the temporary relief of symptoms related to ear, nose, and throat infections including sinus/nasal congestion, cough, mucous congestion, and sneezing. 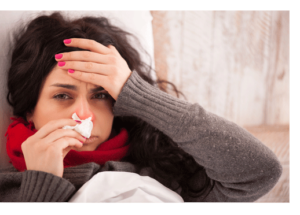 – Mucinease is an ideal formula for patients experiencing upper respiratory congestion as the ingredients may help promote levels of normal mucus viscosity and may shorten the duration of cold, flu, and other sinus symptoms. – Throat Spray is a combination of ingredients shown to soothe the throat, support oral health, promote fresh breath and modulate healthy throat tissue. No more fishy taste! Introducing Liposomal Omega! Tired of large capsules and fishy aftertaste when taking omega-3 fatty acid supplements? Liposomal Omega solves those problems with docosahexaenoic acid (DHA) derived from algae in a superior bioavailable delivery system. Liposomal Omega is a vegan, liquid soluble that is exceptionally low in heavy metals with a delicious creamy lemon flavor. It provides ultimate brain support and promotes overall health. 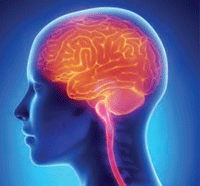 Omega-3 fatty acids, especially docosahexaenoic acid (DHA), are the major building blocks of the brain. DHA ensures the cells develop and function properly through all stages of life. It is naturally found throughout the body and is critical for optimal health of the brain, eyes, heart and as well as other parts of the nervous system. A sufficient intake of DHA is especially essential for pregnant and nursing mothers to ensure adequate brain and visual development for their children. 1Sen P, Maiti PC, Puri S, Ray A, Audulov NA, Valdman AV. Mechanism of anti-stress activity of Ocimum sanctum Linn, eugenol and Tinospora malabarica in experimental animals. Indian Journal of Experimental Biology. 1992 Jul;30(7):592-6. People are constantly on the go. And that affects what they eat. They settle for a bag of cookies or some chips, or whatever they can grab-and-go and call it a meal. Want to help them achieve good nutrition that fits into their busy lifestyle? OmniMeal combines seven healthy, nutritious formulas in one delicious scoop. Each serving provides probiotics, fiber, high quality protein, digestive enzymes, phytonutrients, antioxidants, chelated vitamins and minerals, and targeted specialty nutrients. 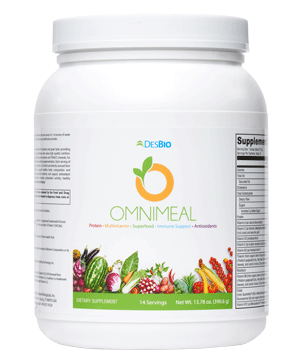 The vitamins in OmniMeal are organic and whole-food sourced and replicate those found in natural and healthy foods. The specialty nutrients help strengthen the immune system, promote gut health, encourage healthy detoxifi­cation pathways, and support microbiome function. Detox After The Holidays, Many of Your Patients May Feel Bloated! After the holidays, many of us feel bloated and tired from overindulging. We find ourselves tipping the scale a little bit heavier, thanks to all the holiday treats. A complete detox after the holiday might be ideal, as it will help your patients boost their immune system and help them stay healthy after the holiday season. 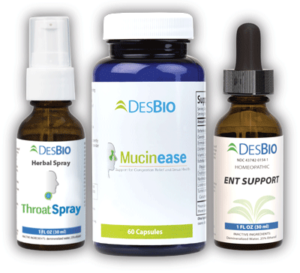 DesBio’s OmniCleanse Detoxification Program is the only Detoxification and Drainage System that combines sophisticated homeopathic remedies with advanced nutraceuticals for a complete approach to WHOLE BODY Detoxification and Drainage. Comprehensive Homeopathic Detox Kit temporarily relieves symptoms related to blockage of drainage pathways in the body. 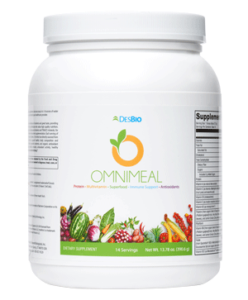 OmniCleanse Powdered Beverage is a shake that combines basic nutrition with a multivitamin, greens blend and organic fruit and vegetable blend with specialty nutrients to support each step along in the detox pathway. OmniCleanse Capsules provide a sophisticated blend of nutrients, amino acids, botanicals, and enzymes for the advanced support of Liver Phase 1 and 2 Detoxification Processes. OmniCleanse Detoxification Practitioner Guide is a full-body detoxification program combines professional-grade homeopathic and nutraceutical formulas designed to help clear the body of dangerous toxins and regenerate healthy cells and tissues. Sick Again? Get Better Fast! Cold and flu season is on its way again this year, right on schedule, and it will bring painful symptoms to many of your patients. How can you help with body aches, muscle aches, soreness, cough, congestion, stuffy nose, fever, and throat pain? These nasty symptoms force your patients and their families to take time off work and school and make them just plain miserable. Keep your patients healthy this season with Mucinease and Throat Spray. These two carefully formulated products are created specifically to help alleviate upper respiratory symptoms that may arise from these uncomfortable illnesses. Throat Spray is a soothing liquid spray formula designed to alleviate throat irritation and other throat distress symptoms related to upper respiratory tract illnesses and voice overuse. Mucinease has been specially formulated to help alleviate the symptoms and duration of upper respiratory congestion while acting as a natural antihistamine, supporting immune health, and relieving common cold and flu symptoms. Studies have shown that taking proteolytic enzymes helps with everything from injuries, inflammatory responses, immune support, and autoimmune conditions. Proteolytic enzymes are one of the most important modulators of the inflammatory response. They help to increase the functionality of natural killer cells and macrophages while simultaneously helping eliminate compounds that can interfere with normal immune function. During tissue injury, proteases help reduce blood viscosity and encourage the delivery of nutrients to the affected area. They also help to remove waste products from traumatized tissue resulting in faster recovery and reduced discomfort. In addition, proteolytic enzymes have the ability to break down circulating immune complexes or CICs. These antigenic compounds stem from food antigens and if left in circulation can cause unmediated inflammatory responses and autoimmune activity. Desbio’s new Liposomal Transzyme is the first formula to combine the power of proteolytic enzymes with a liposomal delivery system. Help your patients promote healthier immune system function and manage inflammatory responses associated with injuries and autoimmune conditions with this ground-breaking new product!